Due to the growing market demand for machine tools, the production area available at NC Service became insufficient to meet all customer needs. For this reason, and as part of the expansion phase underway at NC Service, in May 2016 the company purchased this building of 4.653 m2, standing alongside its current premises on the Industrial Estate of Villalonquéjar in Burgos, directed at growing its production capacity. 2017 has seen the completion of all the work to refurbish this new industrial building, including re-flooring and the strengthening of its entire structure, making it possible to install two, 32 ton GH double-girder gantry cranes last April. Although NC Service´s business expansion is primarily focussed on growing the company´s second-hand CORREA milling machine retrofitting activity, it is also directed at offering a wider range of services, including the retrofitting of other leading milling machine brands and other types of second-hand machines such as machining centres, grinding machines, lathes, large presses and other machine tools. NC Service´s new building is now fully operational and there is no doubt that it will continue to increase its output in the coming year of 2018. 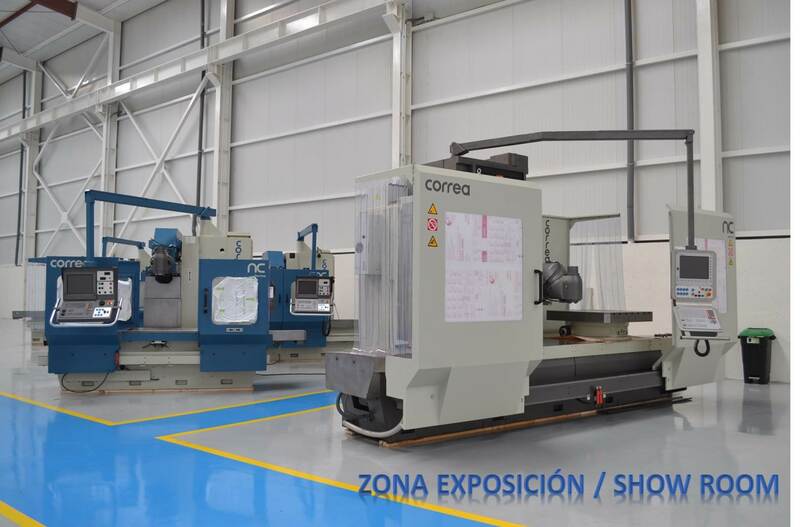 It is divided into two clearly differentiated parts, with one area directed at receiving the second-hand machinery coming into NC Service, before being sent on for retrofitting work at the company´s original facilities, while the second area serves as a machinery show room for newly-retrofitted machinery, allowing potential customers to see the machines in operation and even to conduct machining tests. This extension of the company´s facilities has freed-up working space in the original building, allowing the NC Service team of staff to carry out the machine retrofitting work in a more uncluttered, comfortable and pleasant environment. Furthermore, this original building has also been upgraded with the installation of another 5 ton GH double-girder gantry crane and a jib crane, both from GH Cranes & Components. NC Service aims to continue to grow its business in the course of 2018, by increasing its range of high-quality machinery on offer to customers. This is where this extension of the company´s premises will continue to play a key role in meeting the growth objective set for the company.